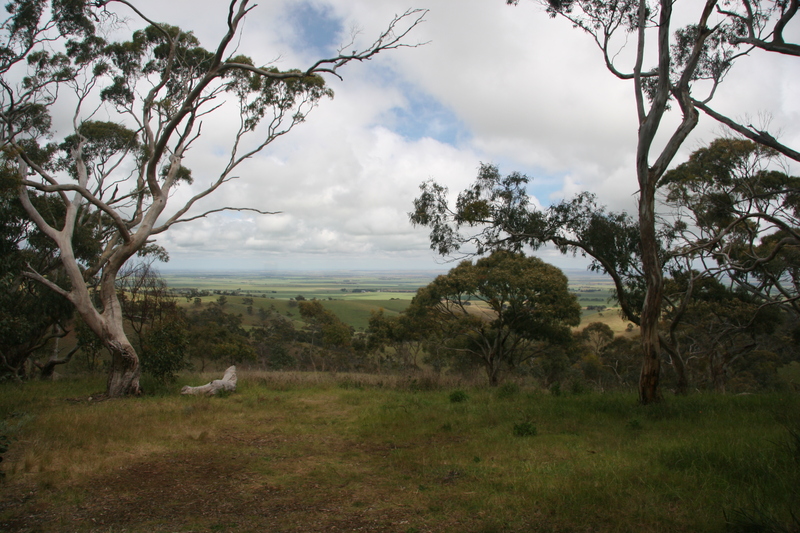 Before we left Clare we revisited Spring Gully Conservation Park and found 3 Greenhood orchids that we had either missed or were not out when we were there last. 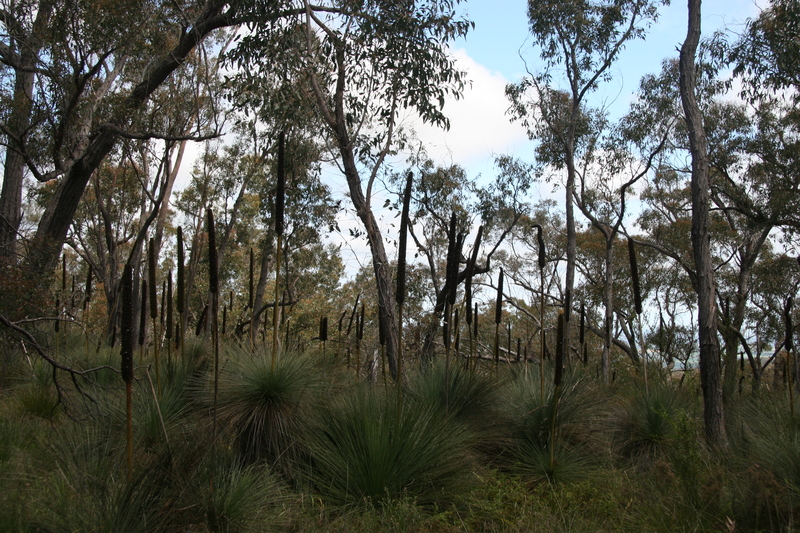 By the way, I have edited my previous blog, because I called the park “String” Gully). 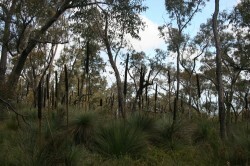 We took another road to find orchids and found this magnificent stand of grass trees. The weather has picked up a bit and we are staying in a lovely park in Goolwa. This is where the Murray River meets the sea, after its 2530km journey from Cowombat Flat, on the border of NSW and Victoria! We visited the source of the Murray (approx. 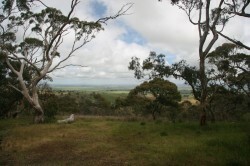 1992), and were able to straddle the crystal clear, trickle of water, with one foot in NSW and the other in Victoria. It is called The Indi at this location. 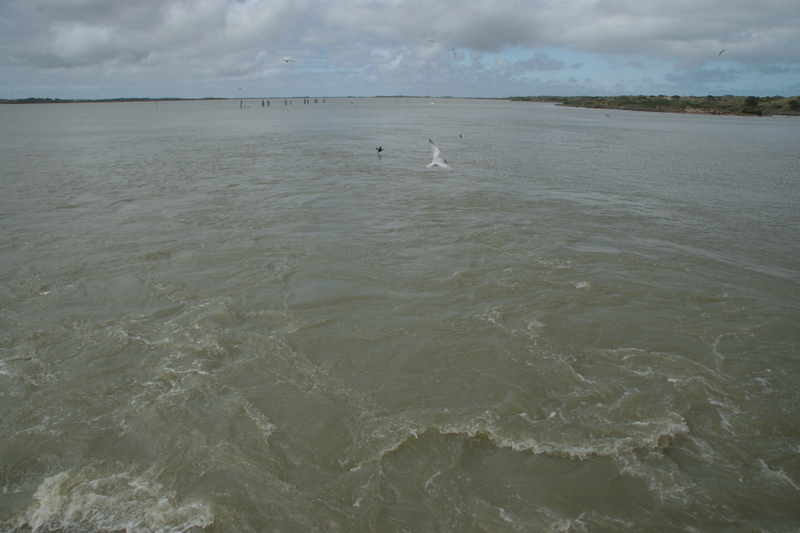 Yesterday we saw the Mouth of the Murray, which, after all the rain is now running freely into the sea. 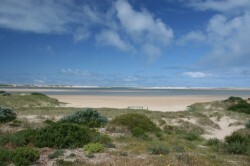 Since 1992 the mouth has had to be dredged of 600,000 cubic metres of sand a year, enabling the mouth to remain open and to reduce the intake of salt to the Coorong. 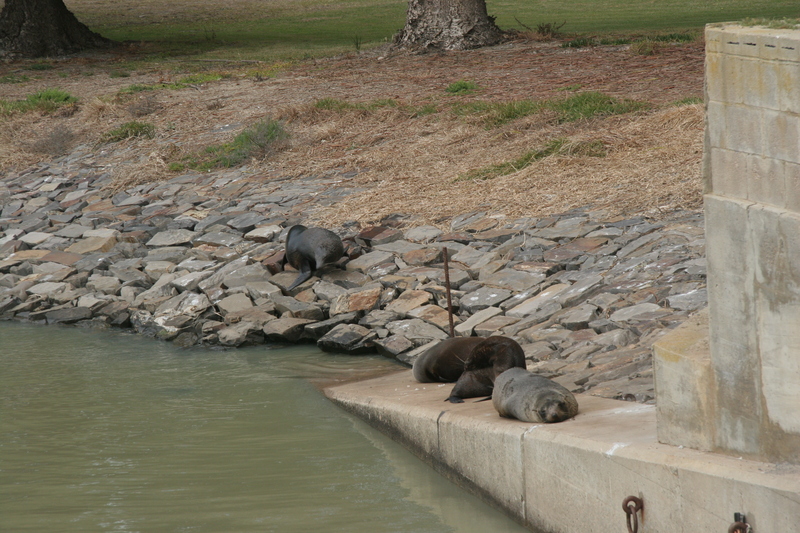 The Murray-Darling Water Authority estimate that the mouth of the Murray has moved 6-8kms over the last 3000 years. We are looking forward to taking a 4 hour cruise on The Spirit of the Coorong tomorrow, with, from what we have heard, the person who knows everything there is to know about the Coroong. We visited the Barrages yesterday. They were completed in 1940. There are 5 structures that dam the Murray to prevent salt water entering the lower lakes. One is on the main channel and the other 4 are on smaller inlets. Because of the amount of water flowing from the Murray at the moment is amazing and they have opened 6 gates. 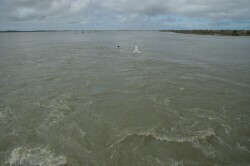 This fresh water is replenishing the Coorong. Today we have been sitting out in the sun watching sea eagles soaring and gliding in the thermals. They were so high, they were almost out of view. The wind is still freezing, but, yesterday we got all our washing done (for the first time).